Biotechnology (commonly abbreviated as biotech) is the broad area of biology involving living systems and organisms to develop or make products, or “any technological application that uses biological systems, living organisms, or derivatives thereof, to make or modify products or processes for specific use” (UN Convention on Biological Diversity, Art. 2). Depending on the tools and applications, it often overlaps with the (related) fields of molecular biology, bio-engineering, biomedical engineering, biomanufacturing, molecular engineering, etc. The wide concept of “biotech” or “biotechnology” encompasses a wide range of procedures for modifying living organisms according to human purposes, going back to domestication of animals, cultivation of the plants, and “improvements” to these through breeding programs that employ artificial selection and hybridization. Modern usage also includes genetic engineering as well as cell and tissue culture technologies. The American Chemical Society defines biotechnology as the application of biological organisms, systems, or processes by various industries to learning about the science of life and the improvement of the value of materials and organisms such as pharmaceuticals, crops, and livestock. Per the European Federation of Biotechnology, biotechnology is the integration of natural science and organisms, cells, parts thereof, and molecular analogues for products and services. Biotechnology is based on the basic biological sciences (e.g. molecular biology, biochemistry, cell biology, embryology, genetics, microbiology) and conversely provides methods to support and perform basic research in biology. Although not normally what first comes to mind, many forms of human-derived agriculture clearly fit the broad definition of “‘utilizing a biotechnological system to make products”. Indeed, the cultivation of plants may be viewed as the earliest biotechnological enterprise. 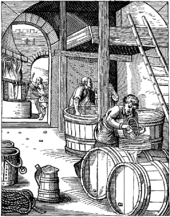 These processes also were included in early fermentation of beer. These processes were introduced in early Mesopotamia, Egypt, China and India, and still use the same basic biological methods. In brewing, malted grains (containing enzymes) convert starch from grains into sugar and then adding specific yeasts to produce beer. In this process, carbohydrates in the grains broke down into alcohols, such as ethanol. Later, other cultures produced the process of lactic acid fermentation, which produced other preserved foods, such as soy sauce. Fermentation was also used in this time period to produce leavened bread. Although the process of fermentation was not fully understood until Louis Pasteur‘s work in 1857, it is still the first use of biotechnology to convert a food source into another form. Before the time of Charles Darwin‘s work and life, animal and plant scientists had already used selective breeding. Darwin added to that body of work with his scientific observations about the ability of science to change species. These accounts contributed to Darwin’s theory of natural selection. The field of modern biotechnology is generally thought of as having been born in 1971 when Paul Berg’s (Stanford) experiments in gene splicing had early success. Herbert W. Boyer (Univ. Calif. at San Francisco) and Stanley N. Cohen (Stanford) significantly advanced the new technology in 1972 by transferring genetic material into a bacterium, such that the imported material would be reproduced. The commercial viability of a biotechnology industry was significantly expanded on June 16, 1980, when the United States Supreme Court ruled that a genetically modified microorganism could be patented in the case of Diamond v. Chakrabarty. Indian-born Ananda Chakrabarty, working for General Electric, had modified a bacterium (of the genus Pseudomonas) capable of breaking down crude oil, which he proposed to use in treating oil spills. (Chakrabarty’s work did not involve gene manipulation but rather the transfer of entire organelles between strains of the Pseudomonas bacterium. Another factor influencing the biotechnology sector’s success is improved intellectual property rights legislation—and enforcement—worldwide, as well as strengthened demand for medical and pharmaceutical products to cope with an ageing, and ailing, U.S. population. 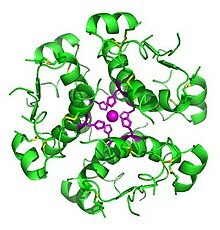 Bioinformatics (also called “gold biotechnology”) is an interdisciplinary field that addresses biological problems using computational techniques, and makes the rapid organization as well as analysis of biological data possible. The field may also be referred to as computational biology, and can be defined as, “conceptualizing biology in terms of molecules and then applying informatics techniques to understand and organize the information associated with these molecules, on a large scale.” Bioinformatics plays a key role in various areas, such as functional genomics, structural genomics, and proteomics, and forms a key component in the biotechnology and pharmaceutical sector. “Yellow biotechnology” refers to the use of biotechnology in food production, for example in making wine, cheese, and beer by fermentation. It has also been used to refer to biotechnology applied to insects. This includes biotechnology-based approaches for the control of harmful insects, the characterisation and utilisation of active ingredients or genes of insects for research, or application in agriculture and medicine and various other approaches. Pharmacogenomics (a combination of pharmacology and genomics) is the technology that analyses how genetic makeup affects an individual’s response to drugs. Researchers in the field investigate the influence of genetic variation on drug responses in patients by correlating gene expression or single-nucleotide polymorphisms with a drug’s efficacy or toxicity. The purpose of pharmacogenomics is to develop rational means to optimize drug therapy, with respect to the patients’ genotype, to ensure maximum efficacy with minimal adverse effects. Such approaches promise the advent of “personalized medicine“; in which drugs and drug combinations are optimized for each individual’s unique genetic makeup. Genetic testing allows the genetic diagnosis of vulnerabilities to inherited diseases, and can also be used to determine a child’s parentage (genetic mother and father) or in general a person’s ancestry. In addition to studying chromosomes to the level of individual genes, genetic testing in a broader sense includes biochemical tests for the possible presence of genetic diseases, or mutant forms of genes associated with increased risk of developing genetic disorders. Genetic testing identifies changes in chromosomes, genes, or proteins. Most of the time, testing is used to find changes that are associated with inherited disorders. The results of a genetic test can confirm or rule out a suspected genetic condition or help determine a person’s chance of developing or passing on a genetic disorder. As of 2011 several hundred genetic tests were in use. Since genetic testing may open up ethical or psychological problems, genetic testing is often accompanied by genetic counseling. Farmers have widely adopted GM technology. Between 1996 and 2011, the total surface area of land cultivated with GM crops had increased by a factor of 94, from 17,000 square kilometers (4,200,000 acres) to 1,600,000 km2 (395 million acres). 10% of the world’s crop lands were planted with GM crops in 2010. As of 2011, 11 different transgenic crops were grown commercially on 395 million acres (160 million hectares) in 29 countries such as the US, Brazil, Argentina, India, Canada, China, Paraguay, Pakistan, South Africa, Uruguay, Bolivia, Australia, Philippines, Myanmar, Burkina Faso, Mexico and Spain. Genetically modified foods are foods produced from organisms that have had specific changes introduced into their DNA with the methods of genetic engineering. These techniques have allowed for the introduction of new crop traits as well as a far greater control over a food’s genetic structure than previously afforded by methods such as selective breeding and mutation breeding. Commercial sale of genetically modified foods began in 1994, when Calgene first marketed its Flavr Savr delayed ripening tomato. To date most genetic modification of foods have primarily focused on cash crops in high demand by farmers such as soybean, corn, canola, and cotton seed oil. These have been engineered for resistance to pathogens and herbicides and better nutrient profiles. GM livestock have also been experimentally developed; in November 2013 none were available on the market, but in 2015 the FDA approved the first GM salmon for commercial production and consumption. GM crops also provide a number of ecological benefits, if not used in excess. However, opponents have objected to GM crops per se on several grounds, including environmental concerns, whether food produced from GM crops is safe, whether GM crops are needed to address the world’s food needs, and economic concerns raised by the fact these organisms are subject to intellectual property law. ^ a b “Incorporating Biotechnology into the Classroom What is Biotechnology?”, from the curricula of the ‘Incorporating Biotechnology into the High School Classroom through Arizona State University’s BioREACH program’, accessed on October 16, 2012). Public.asu.edu. Retrieved on March 20, 2013. ^ “History, scope and development of biotechnology”. iopscience.iop.org. Retrieved 2018-10-30. ^ Cole-Turner R (2003). “Biotechnology”. Encyclopedia of Science and Religion. Retrieved December 7, 2014. ^ “Diamond v. Chakrabarty, 447 U.S. 303 (1980). No. 79-139.” United States Supreme Court. June 16, 1980. Retrieved on May 4, 2007. ^ Gerstein, M. “Bioinformatics Introduction Archived 2007-06-16 at the Wayback Machine.” Yale University. Retrieved on May 8, 2007. ^ Siam, R. (2009). Biotechnology Research and Development in Academia: providing the foundation for Egypt’s Biotechnology spectrum of colors. Sixteenth Annual American University in Cairo Research Conference, American University in Cairo, Cairo, Egypt. BMC Proceedings, 31–35. ^ Frazzetto G (September 2003). “White biotechnology”. EMBO Reports. 4 (9): 835–7. doi:10.1038/sj.embor.embor928. PMC 1326365. PMID 12949582. ^ Wang L (2010). “Pharmacogenomics: a systems approach”. Wiley Interdisciplinary Reviews: Systems Biology and Medicine. 2 (1): 3–22. doi:10.1002/wsbm.42. PMC 3894835. PMID 20836007. ^ Becquemont L (June 2009). “Pharmacogenomics of adverse drug reactions: practical applications and perspectives”. Pharmacogenomics. 10 (6): 961–9. doi:10.2217/pgs.09.37. PMID 19530963. ^ “Guidance for Industry Pharmacogenomic Data Submissions” (PDF). U.S. Food and Drug Administration. March 2005. Retrieved August 27, 2008. ^ Squassina A, Manchia M, Manolopoulos VG, Artac M, Lappa-Manakou C, Karkabouna S, Mitropoulos K, Del Zompo M, Patrinos GP (August 2010). “Realities and expectations of pharmacogenomics and personalized medicine: impact of translating genetic knowledge into clinical practice”. Pharmacogenomics. 11 (8): 1149–67. doi:10.2217/pgs.10.97. PMID 20712531. ^ a b U.S. Department of State International Information Programs, “Frequently Asked Questions About Biotechnology”, USIS Online; available from USinfo.state.gov Archived September 12, 2007, at the Wayback Machine, accessed September 13, 2007. Cf. Feldbaum C (February 2002). “Biotechnology. Some history should be repeated”. Science. 295 (5557): 975. doi:10.1126/science.1069614. PMID 11834802. ^ “What is genetic testing? – Genetics Home Reference”. Ghr.nlm.nih.gov. May 30, 2011. Retrieved June 7, 2011. ^ “Genetic Testing: MedlinePlus”. Nlm.nih.gov. Retrieved June 7, 2011. ^ “Definitions of Genetic Testing”. Definitions of Genetic Testing (Jorge Sequeiros and Bárbara Guimarães). EuroGentest Network of Excellence Project. September 11, 2008. Archived from the original on February 4, 2009. Retrieved August 10, 2008. ^ Mazany, Terry (May 19, 2015). “A FOOD AND AGRICULTURE ROADMAP FOR ILLINOIS” (PDF). learnbioscience.com/blog. ^ Paarlburg R (January 2011). “Drought Tolerant GMO Maize in Africa, Anticipating Regulatory Hurdles” (PDF). International Life Sciences Institute. Archived from the original (PDF) on December 22, 2014. Retrieved April 25, 2011. ^ Haroldsen VM, Paulino G, Chi-ham C, Bennett AB (2012). “Research and adoption of biotechnology strategies could improve California fruit and nut crops” (PDF). California Agriculture. 66 (2): 62–69. doi:10.3733/ca.v066n02p62. Archived from the original (PDF) on May 11, 2013. ^ van Beilen JB, Poirier Y (May 2008). “Production of renewable polymers from crop plants”. The Plant Journal. 54 (4): 684–701. doi:10.1111/j.1365-313X.2008.03431.x. PMID 18476872. ^ a b c James C (2011). “ISAAA Brief 43, Global Status of Commercialized Biotech/GM Crops: 2011”. ISAAA Briefs. Ithaca, New York: International Service for the Acquisition of Agri-biotech Applications (ISAAA). Retrieved June 2, 2012. ^ James C (1996). “Global Review of the Field Testing and Commercialization of Transgenic Plants: 1986 to 1995” (PDF). The International Service for the Acquisition of Agri-biotech Applications. Retrieved July 17, 2010. ^ “Consumer Q&A”. Fda.gov. March 6, 2009. Retrieved December 29, 2012. ^ “AquAdvantage Salmon”. FDA. Retrieved July 20, 2018. ^ Nicolia A, Manzo A, Veronesi F, Rosellini D (March 2014). “An overview of the last 10 years of genetically engineered crop safety research” (PDF). Critical Reviews in Biotechnology. 34 (1): 77–88. doi:10.3109/07388551.2013.823595. PMID 24041244. ^ “State of Food and Agriculture 2003–2004. Agricultural Biotechnology: Meeting the Needs of the Poor. Health and environmental impacts of transgenic crops”. Food and Agriculture Organization of the United Nations. Retrieved February 8, 2016. ^ Ronald P (May 2011). “Plant genetics, sustainable agriculture and global food security”. Genetics. 188 (1): 11–20. doi:10.1534/genetics.111.128553. PMC 3120150. PMID 21546547. ^ Domingo JL, Giné Bordonaba J (May 2011). “A literature review on the safety assessment of genetically modified plants”. Environment International. 37 (4): 734–42. doi:10.1016/j.envint.2011.01.003. PMID 21296423. ^ Krimsky S (2015). “An Illusory Consensus behind GMO Health Assessment” (PDF). Science, Technology, & Human Values. 40 (6): 883–914. doi:10.1177/0162243915598381. I began this article with the testimonials from respected scientists that there is literally no scientific controversy over the health effects of GMOs. My investigation into the scientific literature tells another story. ^ Panchin AY, Tuzhikov AI (March 2017). “Published GMO studies find no evidence of harm when corrected for multiple comparisons”. Critical Reviews in Biotechnology. 37 (2): 213–217. doi:10.3109/07388551.2015.1130684. PMID 26767435. ^ Yang YT, Chen B (April 2016). “Governing GMOs in the USA: science, law and public health”. Journal of the Science of Food and Agriculture. 96 (6): 1851–5. doi:10.1002/jsfa.7523. PMID 26536836. ^ “Statement by the AAAS Board of Directors On Labeling of Genetically Modified Foods” (PDF). American Association for the Advancement of Science. October 20, 2012. Retrieved February 8, 2016. ^ Pinholster G (October 25, 2012). “AAAS Board of Directors: Legally Mandating GM Food Labels Could “Mislead and Falsely Alarm Consumers““. American Association for the Advancement of Science. Retrieved February 8, 2016. ^ “AMA Report on Genetically Modified Crops and Foods (online summary)”. American Medical Association. January 2001. Retrieved March 19, 2016. ^ “Restrictions on Genetically Modified Organisms: United States. Public and Scholarly Opinion”. Library of Congress. June 9, 2015. Retrieved February 8, 2016. ^ “Frequently asked questions on genetically modified foods”. World Health Organization. Retrieved February 8, 2016. ^ Haslberger AG (July 2003). “Codex guidelines for GM foods include the analysis of unintended effects”. Nature Biotechnology. 21 (7): 739–41. doi:10.1038/nbt0703-739. PMID 12833088. “Genetically modified foods and health: a second interim statement” (PDF). British Medical Association. March 2004. Retrieved March 21, 2016. ^ Funk C, Rainie L (January 29, 2015). “Public and Scientists’ Views on Science and Society”. Pew Research Center. Retrieved February 24, 2016. The largest differences between the public and the AAAS scientists are found in beliefs about the safety of eating genetically modified (GM) foods. Nearly nine-in-ten (88%) scientists say it is generally safe to eat GM foods compared with 37% of the general public, a difference of 51 percentage points. ^ Marris C (July 2001). “Public views on GMOs: deconstructing the myths. Stakeholders in the GMO debate often describe public opinion as irrational. But do they really understand the public?”. EMBO Reports. 2 (7): 545–8. doi:10.1093/embo-reports/kve142. PMC 1083956. PMID 11463731. ^ Final Report of the PABE research project (December 2001). “Public Perceptions of Agricultural Biotechnologies in Europe”. Commission of European Communities. Retrieved February 24, 2016. ^ Scott SE, Inbar Y, Rozin P (May 2016). “Evidence for Absolute Moral Opposition to Genetically Modified Food in the United States” (PDF). Perspectives on Psychological Science. 11 (3): 315–24. doi:10.1177/1745691615621275. PMID 27217243. ^ “Restrictions on Genetically Modified Organisms”. Library of Congress. June 9, 2015. Retrieved February 24, 2016. ^ Bashshur R (February 2013). “FDA and Regulation of GMOs”. American Bar Association. Retrieved February 24, 2016. ^ Sifferlin A (October 3, 2015). “Over Half of E.U. Countries Are Opting Out of GMOs”. Time. ^ Lynch D, Vogel D (April 5, 2001). “The Regulation of GMOs in Europe and the United States: A Case-Study of Contemporary European Regulatory Politics”. Council on Foreign Relations. Retrieved February 24, 2016. ^ Pollack A (April 13, 2010). “Study Says Overuse Threatens Gains From Modified Crops”. New York Times. ^ Gaskell G, Bauer MW, Durant J, Allum NC (July 1999). “Worlds apart? The reception of genetically modified foods in Europe and the U.S”. Science. 285 (5426): 384–7. doi:10.1126/science.285.5426.384. PMID 10411496. ^ “The History and Future of GM Potatoes”. Potato Pro. March 10, 2010. ^ Wesseler J, Kalaitzandonakes N (2011). “Present and Future EU GMO policy”. In Oskam A, Meesters G, Silvis H. EU Policy for Agriculture, Food and Rural Areas (2nd ed.). Wageningen: Wageningen Academic Publishers. pp. 23–332. ^ Beckmann VC, Soregaroli J, Wesseler J (2011). “Coexistence of genetically modified (GM) and non-modified (non GM) crops: Are the two main property rights regimes equivalent with respect to the coexistence value?”. In Carter C, Moschini G, Sheldon I. Genetically modified food and global welfare. Frontiers of Economics and Globalization Series. 10. Bingley, UK: Emerald Group Publishing. pp. 201–224. ^ “Biotechnology Predoctoral Training Program”. National Institute of General Medical Sciences. December 18, 2013. Retrieved October 28, 2014. Powell WW, White DR, Koput KW, Owen-Smith J (2005). “Network Dynamics and Field Evolution: The Growth of Interorganizational Collaboration in the Life Sciences”. American Journal of Sociology. 110 (4): 1132–1205. CiteSeerX 10.1.1.319.1227. doi:10.1086/421508. Viviana Zelizer Best Paper in Economic Sociology Award (2005–2006), American Sociological Association. Caswell MF, Fuglie KO, Klotz CA (1998). “Agricultural Biotechnology: An Economic Perspective”. Agricultural Economic Report. United States Department of Agriculture Economic Research Service. A report on Agricultural Biotechnology focusing on the impacts of “Green” Biotechnology with a special emphasis on economic aspects. fao.org.